One of the inevitable items in facial care routine are masks. It was discovered that Cleopatra used mask with honey, and throughout the history a variety of masks has been developed, with diverse beneficial ingredients that beautifies the skin. When someone mentions grapes, the first thing that comes to mind of many will be wine, but I immediately think of Caudalie, a cosmetic brand whose products' main component is grapes. Accompanied by purifying pink clay and coffee, precisely the grapes is primary feature of Caudalie Instant Detox Mask. The founder of Caudalie, Mathilde Thomas, perceived the incredible, powerful affinity of grapes toward the skin, an exceptional force waiting to fulfill its potential, and decided to transmit her knowledge into preparations which will embellish faces of women around the world. Together with her husband, her story began at the heart of family estate vineyard in Bordeaux, guided by intuition and personal convictions, daily inspired by the rare fairness of sophisticated scenery, where she used to say that when a vine cries, faces of women illuminates. The word caudalie itself is associated with grapes and represents measuring unit of wine's taste duration on the palate, each marking every second of lingering flavor – the quality wine is endowed with lots of caudalie. „I believe in a greener planet and more commited cosmetics.“, says Mathilde, and apart from wonderful products with natural ingredients, I appreciate Caudalie because of their care for planet Earth. Since its inception, this brand is strictly dedicated to its consumers, creating ecologically-friendly products with maximum amount of natural constituents that doesn't contain parabens, raw materials of animal origin and mineral oils such as petroleum, paraffin and sodium laureth sulfate. The packaging is made entirely of 100% recycled paper and, whenever possible, of recycled plastic or plant-based plastic, while special attention is devoted to minimal consumption of raw materials, in order to preserve the biological milieu and to improve environmental footprint. I'm so happy when I find out that brands whose products I admire establish their philosophy on ecology, therefore I choose them with even more enthusiasm. 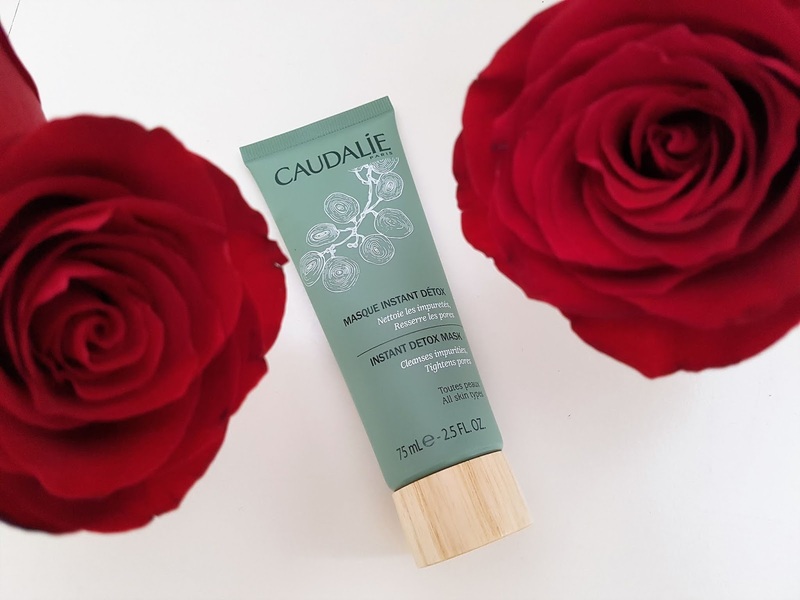 Caudalie Instant Detox Mask comes in a green 75ml tube with a protective wooden cap on top. I'll repeat yet again that I prefer tubed products rather then ones in jars, mainly because prevention of air entering upon opening and allowance of more accurate, proper dosing. Treating all forms of damage caused by free radicals, Caudalie mask alleviates stress aftermath triggered by intensive, urban, hasty way of life, removes impurities and oils, congeal the pores and refreshes the complexion, while its 99.3% natural formula successfully eliminates toxins. 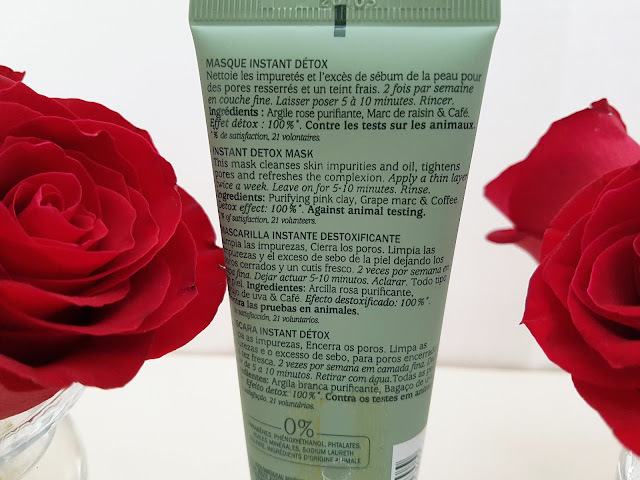 With a light and soothing herbal scent that combines lavender, parsley and chamomile, the mask is gently pink colored and, due to its clayish quality, easily coated. Once applied, the curing process initiates and when the clay dries, the face becomes completely tautened. After 5 to 10 minutes activity it's necessary to rinse it off with water, and the final result is refined skin texture, solidified pores and nicely balanced complexion. It's suitable for all skin types and it is recommendable to use it twice a week. Immediately after I wash it away, the difference is noticeable: my face appears fresh, plump and tighten, with a sheer and radiant luster. It's hard to express how much I love this mask and how important place it occupies among my beauty rituals. And I'm not the only one! A number of fans on the global scale is attested by Elle Beauty Award, won in 2015. for best facial mask. 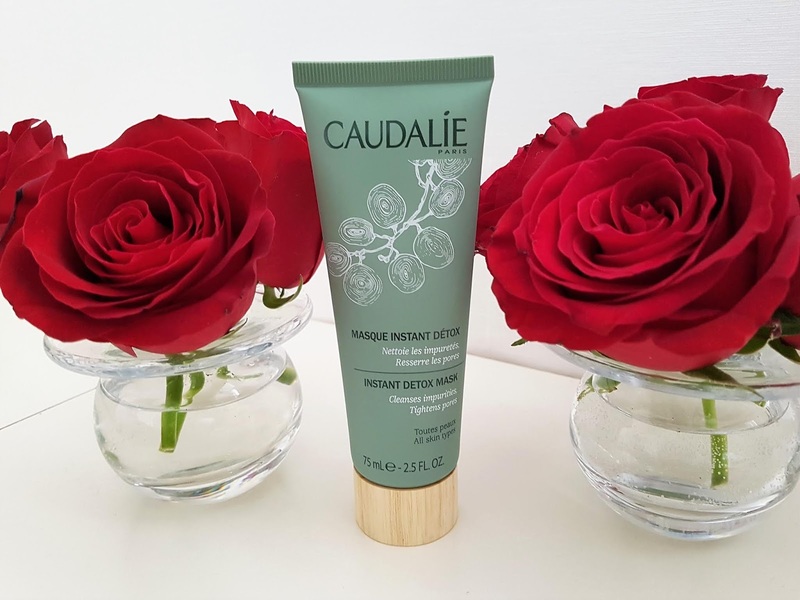 Have you tried Caudalie Instant Detox Mask? What are your impressions? Write me in the comments. Till the next post, all the best! I do love to pamper myself with a good mask! This one looks so lovely, I've got to try it. when you try it let me know your impressions about it. I'm curious would you like it as much as I do. Cleopatra was first woman who started many beauty trends and skin care treatments which we use today. Face mask is one of them. Da li bi mozda htjela da se zapratimo? I had no idea that Caudalie used grapes in a lot of their products! The mask sounds like it smells amazing and is lovely for the skin. I always love reading your posts because I always learn so much amazing information about each product. Thank you so much dear Kara for your kind words. I'm glad to hear that you like my posts and find useful information in them. That mean a lot to me. Mask have very beautiful smell and after using it left skin so beautiful. This is one of my favorite masks. This masks sounds and looks lovely! Thanks for sharing. Mask is really amazing, one of my favorite. So interesting! I love face masks, they are so relaxing to me and it is such a treat for my skin! like you I'm also huge lover of face masks and always searching for new one to try. This is one of my favorite which I use for years and really love it. must be a nice product! this mask is awesome. When you try it let me know your impressions about it. This face mask is amazing. I really love it and use it for years. When you try it, I would like to hear your impressions. 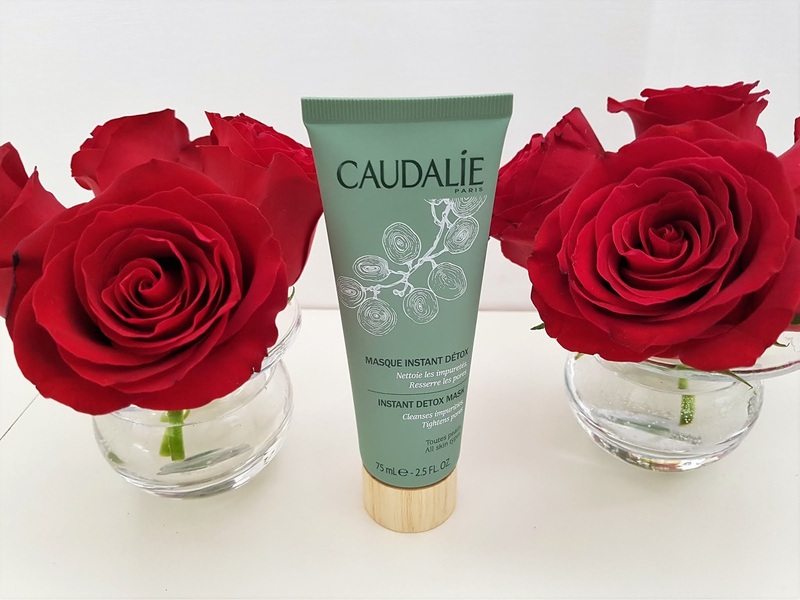 I will check this out, I love the Caudalie products! let me know your impressions about this mask after you try it. I'm curious would you like it. like you I'm also huge lover of Caudalie products, especially body scrub and body butter. They are the best in the world. In collection of face products I find a few for myself and one of my favorite is this mask. I adore it. If you try one of face mask let me know which one you pick for yourself and do you like it. I'm glad to hear that you like review and photos. You are welcome, dear Carina. I completely agree with you about Caudalie. This brand have awesome products. You are welcome, dear Cris. I completely agree with you about honey and with pleasure pick products which have honey like one of ingredients. This Caudalie mask is amazing and I really love effect which leaves on my skin after using it. it is really amazing mask. One of my favorite. Thank you so much dear Mina for your kind words. They mean a lot to me. Gorgeous photos of a lovely product! Thank you so much dear Jessica for your lovely words. I'm glad to hear that you like photos. Great review! Do you have a rotation of masks that you like to use, or do you switch it up depending on your skin needs? I'm huge lover of face masks and constantly searching for new ones. I have few favorite masks that use all of time, one of them is this Caudalie, while others are: Sisely Black Rose Cream Mask (my favorite and best face mask that I ever use), Chanel Hydra Beauty Mask and Glam Glow Gravitymud and Supermud. Depending on how I feel and what kind of treatment I want for the skin I pick one of them. Maska je stvarno odlčna kao i rezultat koji ostavlja na koži poslije upotrebe. Ako je probašš javi mi svoje utiske o njoj. I love wash off masks, and this one has been on my wishlist! when you try this mask I would like to hear your impressions about it. I'm curious do you like it as much as I do. Need to try this mask!! when you try this mask I would like to hear your impressions about it. Amazing colors! Great styling as always!!!!! Thank you so much, dear Len. Wish you amazing week, too! mask is really great! One of my favorite! I love Caudalie products! This mask sounds amazing! Need to try it! We share same love for Caudalie products. When you try this mask let me know your impressions. I would like to hear do you like it as much as I do. Ooh, I tried this out last year and really liked it, thanks for the review and pictures and reminding me of it too! you are welcome. I'm glad to hear that you use this mask and was very satisfied with result. Claudalie is a great brand! I completely agree with you, dear Paola. I really love Caudalie products. mask is really amazing and "doing an excellent job" on skin. I love Caudalie! Such an iconic brand! we share same love for Caudalie. I completely agree with you that it is an iconic brand with amazing products. I haven't tried this before, but surely wouldn't mind. Sounds great! Mask is really great and when you try it let me know your impressions about it. This mask seriously sounds amazing! Mask is really amazing. I use it for a years and really love it. One of my favorite masks. Grožđe ima puno hranjivih svojstava i vitamina, a jako je dobro i za kožu, tako da vjerujem da je ova maska odlična. Dodatan plus za ekološko pakovanje. u potpunosti si u pravu jer grožđe čini "čuda" za kožu i svi Caudalie proizvodi koje sam probala, a koji su kao jedan od sastojaka imali grožđe, u mom slučaju su se pokazali kao izvrsni. Ova maska također to potvrđuje jer je koristim godinama i jedna je od mojih omiljenih. I confess I've never tried any of the brand's products, but I've heard a lot about their products. Thank you so much, dear Helena. I'm sure everything that you hear about Caudalie products is true because this brand have awesome products. Thank you so much, dear Rita. Mask is really great and after using it my face looks refresh, clean and beautiful. Such a fabulous and trustworthy brand; thanks for the thorough review of this detox mask! thank you so much for your kind words. 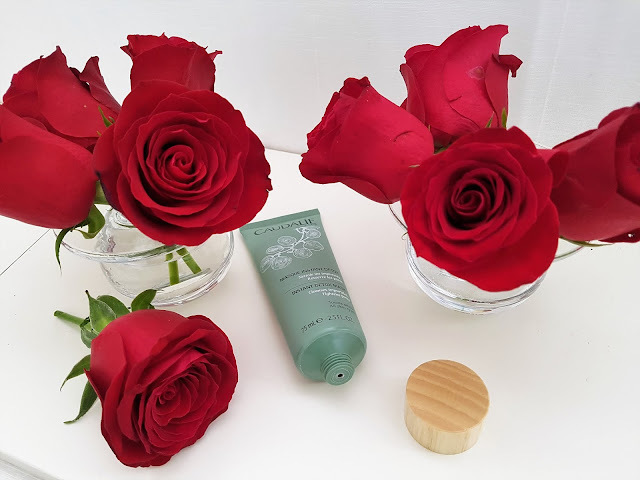 I completely agree with everything what you wrote for Caudalie brand because they have awesome products and every of them which I use was great. mask is really amazing. My skin love it. Wooden cap is interesting and unique detail, I also like it. When you try this mask I would like to hear your opinion about it. Thank you so much, dear Mellissa for your beautiful words. They mean a lot to me. I'm glad to hear that you like post and review of product. Thanks for sharing this product! I hadn't heard of it or the brand before! You are welcome, dear Lorna. Caudalie is amazing brand with awesome products for face and skin care. We share same love for Caudalie products because I'm also huge fan of them and every product which I use was great for my skin. I'm glad to hear that you find useful information in post and after reading it plan to try this mask. After you start using it I would like to hear your impressions about it and do you like it as much as I do. You are welcome, dear Elma. Thank you so much, dear Mica. This mask is really great and my skin really like it. If you love clay mask you should check this one. Thank you so much, dear for your lovely words! They mean a lot to me. Thank you so much, dear Lara. I'm glad to hear that you like photos. That mean a lot to me. I'm glad to hear that, dear Wiktoria. When you try this mask let me know your impressions about it. I would like to hear do you like it as much as I do. Hvala ti puno draga Andjela na lijepim riječima. Drago mi je čuti da ti se sviđa post. If you try this mask or some another from Caudalie I would like to hear your opinion about it. when you try this mask I would like to hear your impressions about it and do you like it as much as I do. Thank you so much for your kind words. I appreciate it and I'm glad to hear that you like blog. We share same love for Caudalie products and like you I also adore this mask. I check your blog and it is very interesting. I really like your last post about Nuxe products because you present some products for which I have not heard before. Thank you so much, dear Ayuna for your kind words. They mean a lot to me. Mask is really great and when you try it I would like to hear your impressions about it. I have to admit that I rarely use masks but this sounds definitely like a mask I should use regularly! Thanks for the detailed and very helpful review. Thank you so much, dear Rena for your beautiful words. They mean a lot to me and I'm glad to hear that you like review. This mask is really great and you can first ask for tester to see how your skin will react on it, before buying full size packaging. My skin really love it and I notice how my skin looks better after I started using it. Thank you so much, dear Gil. I completely agree with you, dear Nina. This mask is really great skin care product. I never tried this brand yet but I always heard good about it ! Caudalie brand is really great and have awesome skin care products. It is one of my favorite brands. I'm sure that everything that you hear about products is true. que maravilla, me lo apunto! Thank you so much, dear Eleine! Looove the roses in the photo. I will keep an eye out for this brand. Thank you so much, dear Asha. I'm glad to hear that you like roses in photos. When you find something for yourself from Cauudalie brand I would like to hear your impressions about product. Thank you so much for your kind words. They mean a lot to me and I'm glad to hear that you like photos. I completely agree with you about benefits of using green products and every time when I can I pick them for myself. I really like Caudalie - they have so many amazing products for different skin types and it's just a wonderful brand!! Love the look of this mask - a great way to pamper skin! I completely agree with you about Caudalie brand. It is one of my favorite brand and I used many products for face and skin care from this brand and every of them was great. This mask is also amazing and after I started using it I notice how my skin looks better and pampered. I really need this ! when you try it I would like to hear your impressions about it. It sounds like a great mask. I might have to try it out. this is really amazing mask, one of my favorite. After I started using it I notice how my skin looks better and healthier. Also it is so softy. When you try it, let me know your impressions about it. I would like to hear do you like it as much as I do. 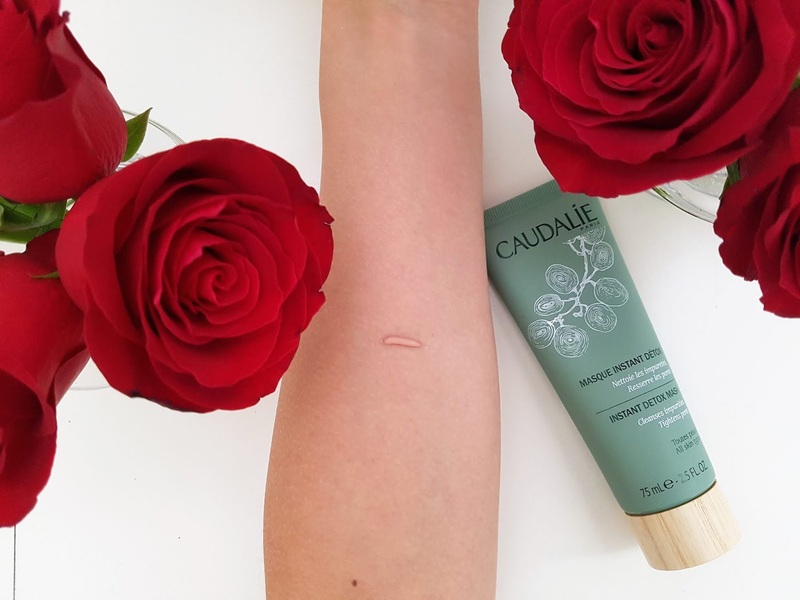 We share same love for Caudalie brand because it is one of my favorite. You are welcome, dear Kay. I'm glad to hear that review was useful for you. This mask is really amazing and I love it, so when you try it I would like to hear your impressions about it. So great! It really sounds fantastic. This mask is really amazing and doing "great job" for skin. I really love it. you are completely right. This mask is perfect for weekend treatments and spoil yourself. After using it skin is so beautiful and soft. I adore this mask. I completely agree with you. This mask is amazing and great product for skin treatments. 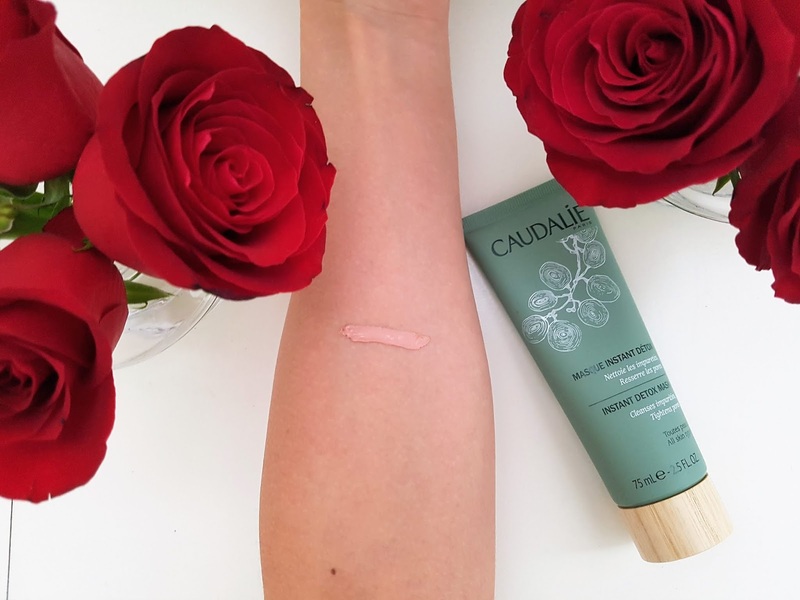 The brand Caudalie is very incredible, I'm crazy to test! 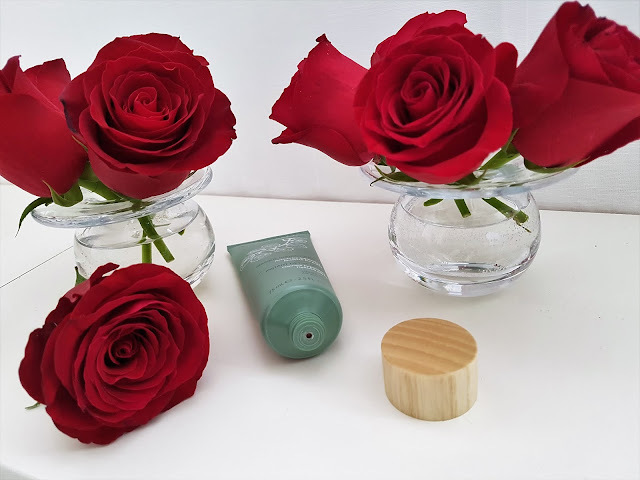 I loved the product and I loved the review! Thank you so much for your kind words. I'm glad to hear that you like review. I completely agree with you about Caudalie brand. It is amazing brand with great face and skin care products. 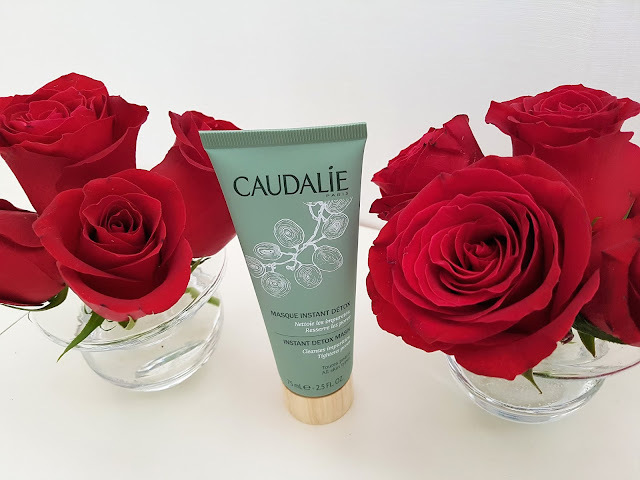 I adore products from Caudalie and always searching for new ones to try them. Volim koristiti maske za lice, i ovu bih voljela probati, čini se super! Odlična recenzija draga! Hvala ti puno, draga Vildana. Drago mi je čuti da ti se sviđa recenzija jer ova maska je stvarno super. Jedna od mojih omiljenih i ako je probaš voljella bih čuti tvoje dojmove o njoj. when you try this mask I would like to hear your impressions about it. Do you like it as much as I do. I like many products made of grapes, not just the mask! I'm glad to hear that because grapes have a lot of nutrients and it is regular ingredients in many cosmetics products. I completely agree with you. I check your page and there are some very nice pieces of jewelry. Thank you for sharing link. Thank you so much for your kind words. I really appreciate it. I'm glad to hear that you are satisfied with this mask. It is great product and I really love it.